Never give up on your goals, dreams, on your own morals and beliefs, and never give up on how kind people really can be. I have a growing list of people that I need to thank, people that have helped me, inspired me, and kept me on track. Sometimes it easy to forget that their are far more good people out there than bad ones, and far more people that will help rather than hinder you. You watch the news and see hate crimes, injustice, corruption and all the bad things, that humans are capable of, and sometimes in life you focus on this to. I know I may be a little hard headed and at times I feel I have to do everything myself or otherwise im failing. My lifestyle can sometimes be incredibly isolating and lonely, and in all honesty at times it not easy and not all rainbows and sunshine and playing with ponies. But what is incredible and has totally overwhelmed me recently is the huge amount of support I've received from people far and wide. I go to Mongolia in ten days to compete in the 'Mongol Derby' the toughest horse race on the planet. Now obviously this is a huge undertaking for me. There is no way i could be going ahead with this if it wasn't for a whole bunch of amazing people. I have never been one to let reality get in the way of my goals, so when I signed up for the derby almost a year ago, I only had half the entry fee, no way of paying for flights, insurance or any other costs. But I'd been saving for a long time and I just felt this incredible urge that this was the year for me to do the race. So I committed to it and figured some way or another I'd make it work. Well I planned on selling horses, sponsorship and working some extra long hours to make it happen. But horses didn't sell, sponsorship never came through, in fact I lost count of the people who just hung up the phone, said no, didn't reply or sent me rejection letters. No insurance company would even consider me for a horse race in the middle of one of the most uninhabitated places on earth. Everywhere I looked the response was overwhelming, NO! I can not even begin to explain the sinking feeling, the knot of tension and dread in my stomach, as everything just fell apart before my eyes. I had committed all my money, with no way of getting it back should I not be able to make the race, and I couldn't make the final payments, couldn't afford the gear, and had to many horses to leave anyway. I just felt this horrible failure and a grey sense of depression sliding over me. But people do help you, I enlisted the aid of a friend and with two days to go before the final payment was due, I sold two horses. No I didn't get the money I wanted for them, but I got enough to pay off all my debts, buy winter hay, and make the trip happen, and also guarantee the horses were going to loving suitable homes. I still didn't have gear though and hadn't raised any of £1000 I need to for Cool Earth and Kiwi Care Team. I was going to Mongolia but I'd be riding in worn out boots, and jodhpurs that were fraying at all seams, but if this is what it would take i was still doing it. Again though people are amazing and when you ask for help its incredibly humbling to realise people do want to support you. Everything has slowly started falling into place. Amazing friends within the horse community, helped me make professional fundraising posters and sponsorship proposals. Others started donating on my givealittle website, and writing messages of support. Never underestimate how much a few words mean. I read all the messages and well wishes, and realised I want alone in this, and it made all the difference. I started approaching companies for sponsorship again, and yes people still shut the door in my face and said 'not a chance'. But other people said yes, and really helped me out. 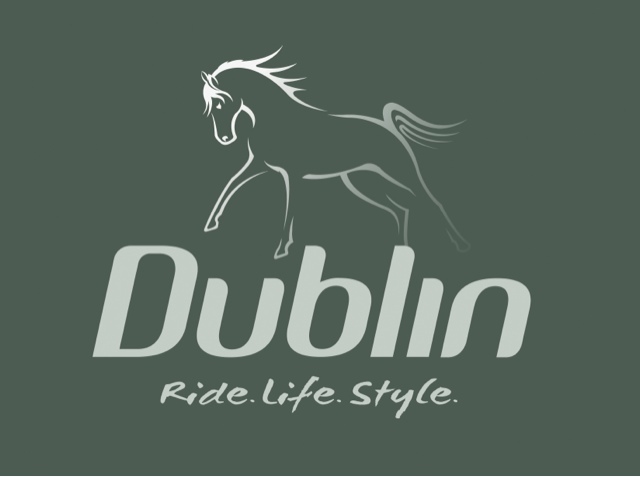 In the space of an hour I walked into a tack shop and walked out with the amazing support of Equestrain riding wear company Dublin. This meant riding boots, chaps and a helmet, gear, nice gear I could race in. Pat Kennedy's Equestrian supplies and Dublin were the first people to even bothr talking to me, let alone support and provide sponsorship, and it was an amazing feeling. I will always be incredibly greatful to them for giving me that helping hand and confidence to keep trying. Then the day before my birthday I got a package in the mail form Icebreaker, totally unexpected but with a message that said, while they didn't have room in the budget for full sponsorship they were providing me with a few bits and peices of thermal clothing and good luck for the race. Awesome, I had got just what I needed, warm clothes I could wear, and I was incredibly touched that someone went to the effort of thinking about what I might need and sending it to me. Now I've had many more amazing people contact me, with offers of products and support. I'm very excited about receiving some packages in the post this week. More people have donated, and more people have taken the time to just write and tell me how great they think the race will be. There are so many people I want to thank, and now with the actual event looming very cloose I hope that I can support the people that have helped me, and hopefully they will gain something out of this partnership as well. For all the people who have donated money I genuinely hope I get to thnk them all in person after the race. It's a recession and no one has spare money so even donating a little bit means a lot to me. More importantly I hope one day I'm in the position to help someone else follow their dreams when they need it. Never give up, people really are amazing. Thank you to all of you who read this, and all of you who I haven't named but have helped me in so many way. Believe me when I say it makes all the difference.